Before we dive deep into how to design an innovation lab, let’s take a moment to think about what an innovation lab is and what it means to a growing organization in today’s world. In a broad sense, an innovation lab is a physical space dedicated to the creation, development, and execution of ideas. It’s a space to cultivate, share, and grow not only potential earning opportunities, but also relationships within an organization. An innovation lab can take on many different titles such as innovation center/space, maker space, creativity lab etc., but the overall goal remains the same; to create. Organizations everywhere, from universities, to health care clinics, to libraries, schools, and especially businesses are becoming more innovative than ever, and this process of design thinking is for any organization willing to use it. The style of work in businesses today is drastically shifting from individual, heads-down work to a more collaborative and innovative style where multi-person projects are the norm. We see this shift proving more and more successful as organizations start realizing that producing and offering goods and services that people actually want and need will yield a higher success rate than just playing it safe. Warren Burger’s highly recommended book, Cad Monkeys, Dinosaur Babies, and T-Shaped People – Inside the World of Design Thinking and how it can Spark Creativity and Innovation, best describes why companies need to get out of the sterile and cubicle style of working and let the real world in, through an interview with Bruce Mau. Mau, an award-winning international designer, author, and innovator has worked with countless organizations around the world redesigning the way they operate through the power of design thinking. “What seems to happen in business is that in the interest of security, profit, and predictability, and sometimes just priggishness, we collapse down the human experience into something simple that we can easily control”, says Mau. Organizations aren’t living up to their full potential and in turn, this attitude leads to designing for the company instead of designing for the consumer. This concept can most easily be translated into a sketch Mau produced for one of his clients. 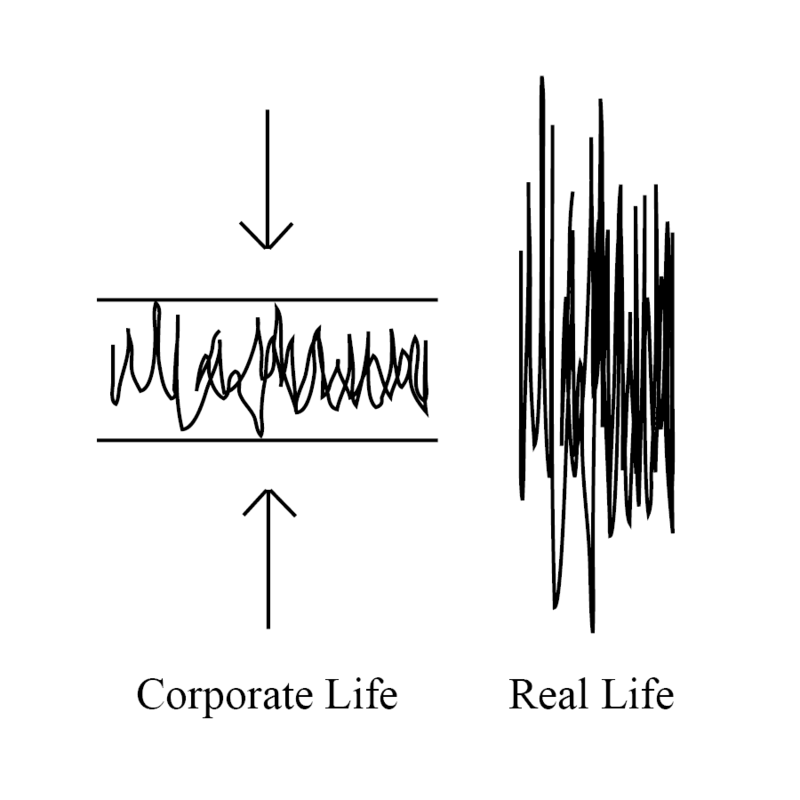 In the sketch, the energy of corporate life is confined between 2 horizontal lines with little space for the energy to flow between, while next to it, the energy of real life has no constraints. “I was trying to make the point that if you, as a company, stay within that limited emotional range, then you are cutting yourself off from all the possibilities in the larger world where people actually live”, says Mau. With help from designers like Mau, organizations across the globe are opening up their minds to the concept of human-centered design and innovation. And what better place to innovate than in an innovation lab? and president of the design firm IDEO. Brown, an award-winning industrial designer defines design thinking as, “a human-centered approach to innovation that draws from the designers toolkit to integrate the needs of people, the possibilities of technology, and the requirements for business success.” The three major concepts we can take away from Brown’s definition of design thinking are the needs of people, the infinite possibilities of technology, and business success; all three of which we are trying to accomplish in our innovation lab. Design is all about problem solving; looking at the world around you and constantly changing and transforming it for the better. I truly believe that design thinking is the process we should be using to tackle the challenges we face both globally and in our everyday lives. The reason this concept is so widely used is because it is a process that is applicable in any field, can be used by anyone, and has no limit on the size of the challenge. I have used design thinking to redesign University of Wisconsin campus buildings, design furniture, and have even used it to design a sustainable micro-campus in Kenya. So let’s find our own challenge and start transforming it! 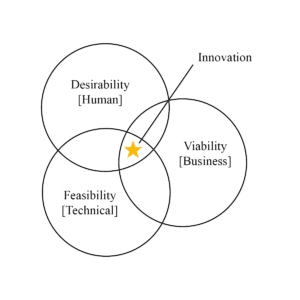 The IDEO model of design thinking is comprised of five separate stages, empathy, define, ideate, prototype, and test. Each stage is just as critical as the last in accurately defining and solving your challenge. Empathy is where the process begins. Empathy is defined as the ability to understand and share the feelings of another, which is exactly what we are going to do. In this first step we are diving deep into the wants, need, opinions, and values of our end user. This step is critical in fully understanding and correctly defining your challenge. If we are able to understand the specifics and the importance of our challenge, we are more likely to produce a successful solution. So how do we dive deep into our end user? The empathy stage can be broken down into three actions, listen, ask, and observe. In order to get a well rounded understanding of our end user, we can use these three actions to answer the questions, who, what, where, when, why, and how. Answer the first question then move onto the next in reference to the previous question. After understanding the basics, dive deeper into each area to discover people’s hopes, goals, and values. Ask more questions, ask to see some of the successful work the organization has completed, sit and observe people going about their daily routines, watch how people are doing things. More likely than not, you will discover insights about the organization and the people that work there that they have yet to discover themselves. 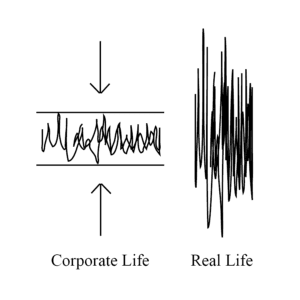 By understanding the daily ebb and flow of a organization, we are closer to fully understanding the challenge. If you’re like me, your mind will be flooding with ideas during this stage, but it is important to push them aside for now and focus solely on getting to know your end user. After diving deep into the organization, take a step back and look at the bigger picture. Gather everything you have learned, seen, and heard, sort through it, and pick out the major, recurring themes that stood out to you most. Ask yourself what is not working within the organization, but also ask yourself what is working within the organization. We will use these insights in the next stage of the design thinking process, defining our challenge. Now that we know more about who we are designing for, we can more accurately design an innovation lab specifically for the success of that organization. The second stage of the design thinking process is to define our challenge. A way to define your challenge is through a ‘how might we’ question. A ‘how might we’ question is a way we can define our challenge in the form of a question as opposed to a statement. It is important to define the challenge in the form of a question in search of a solution rather than simply stating the problem. When forming your ‘how might we’ question , be sure to be very specific. Choose three of the most important themes you took away from the empathy stage and hope to execute in the design of the innovation lab. Form these themes into a question beginning with the phrase, ‘how might we’. 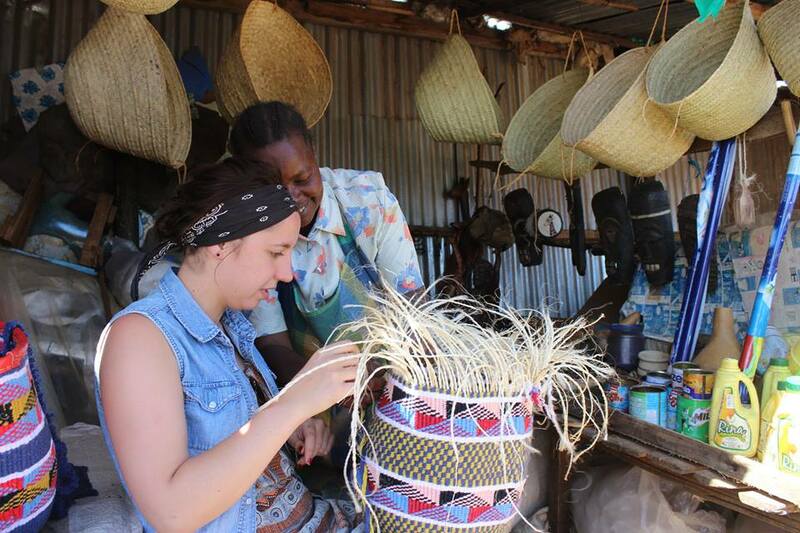 For example, at the University of Wisconsin-Madison in a design thinking course, I had the incredible opportunity of partnering with the Tharaka Women’s Welfare Program [TWWP] in Tharaka Nithi, Kenya. The Tharaka Women’s Welfare Program was established in 1995 by the courageous Aniceta Kiriga as an effort to eradicate female genital mutilation [FGM]. 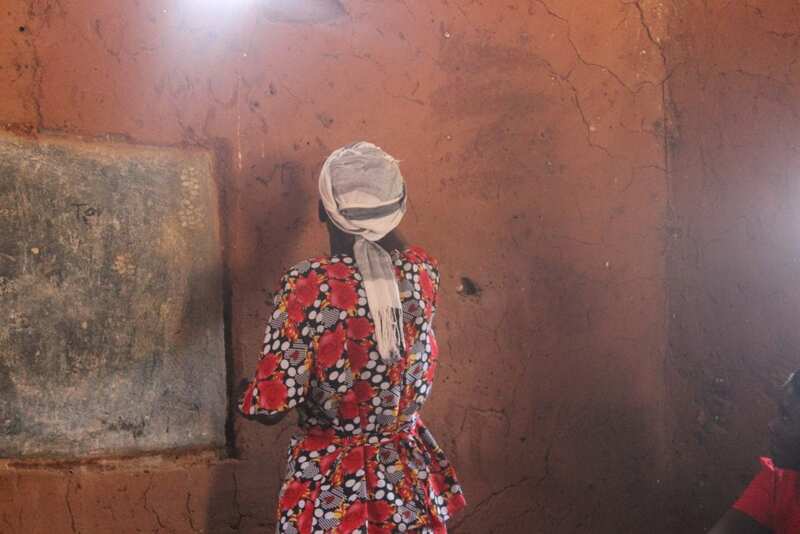 Through grassroots, efforts TWWP advocates, educates, and mobilizes the community about the harmful effects of FGM while also providing an alternative rite of passage [ARP] for the girls of the community. After seeing how successful the TWWP has become, how much it is growing, and the connections it has established with UW-Madison, the chief of the community granted Aniceta and the TWWP four acres of land to build a campus and expand its mission. 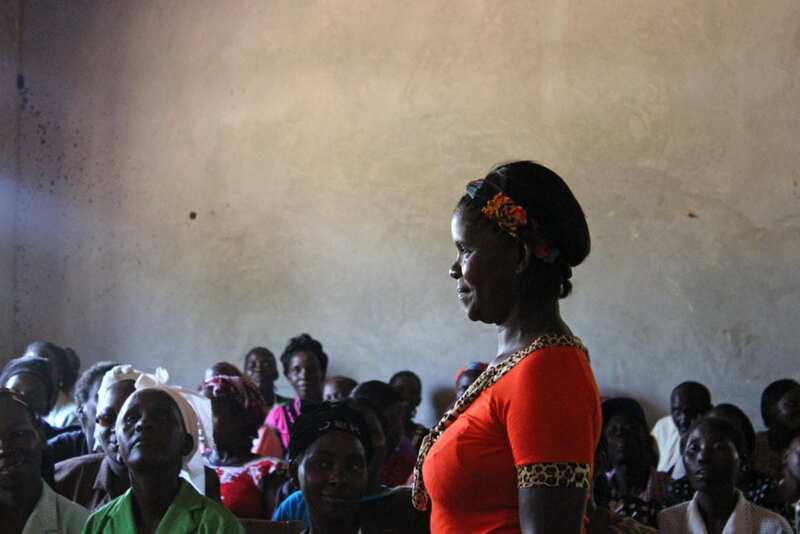 The TWWP has grown to not only include the ARP, but also a safe male circumcision program and an adult literacy group. I had the opportunity to travel to Kenya with eight fellow designers to do field research for the project. While in Kenya, we stayed with Aniceta and had countless conversations with her and the community members involved in the TWWP about their futures, their hopes, their values, and their goals. 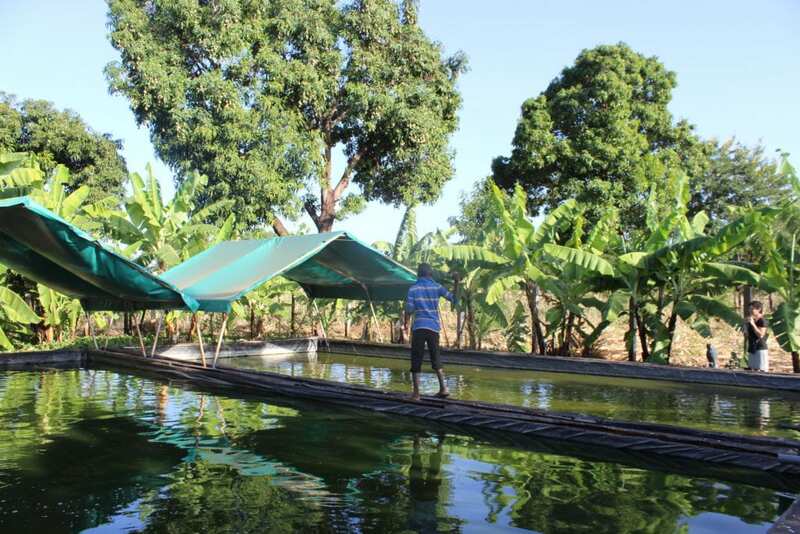 We did extensive research on the community and the available resources,and realized that the people of Tharaka Nithi, Kenya are extremely innovative and driven. They have all the pieces needed to create something amazing, they just need help putting those pieces together; that’s where we came in. The design students at UW-Madison involved in this project created a design question that we hoped would embody everything Aniceta is striving for in the new campus. 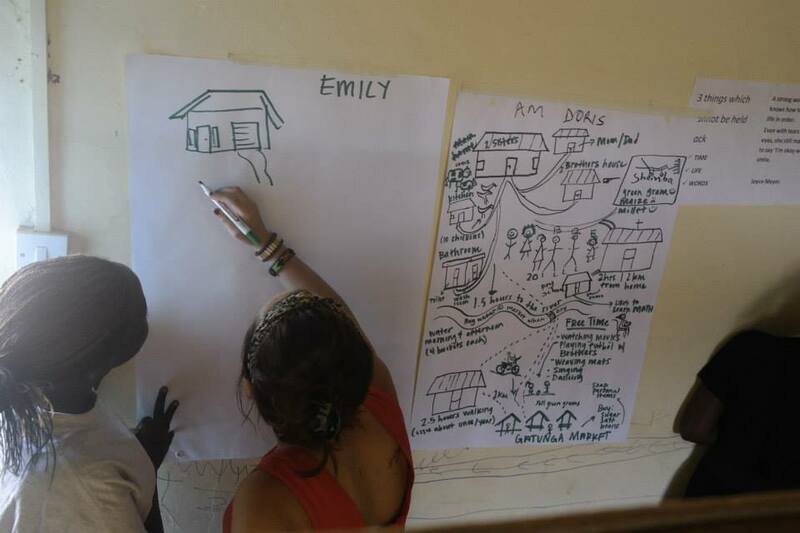 Our design question was, how might we create a sustainable environment that supports the community of Tharaka Nithi, Kenya through personal growth, empowerment, and the education of self-sustaining practices? 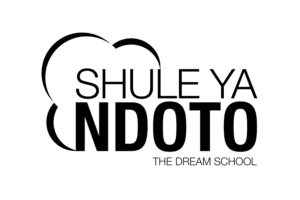 The campus was coined Shule ya Ndoto [The Dream School] and is still in the process of continuous design and transformation by different students throughout each semester. The ‘how might we’ question for The Dream School may seem vague, but in relation to the overwhelming size of our challenge, our design question was perfect in helping us stay focused on the most important objectives during our design process. Your ‘how might we’ question will guide you through your entire design and should be revisited frequently to ensure you are staying on track and moving in the right direction. The next step in the design thinking process is ideate. Now that we have a design question, it’s time to unleash all of those ideas! In this idea generating stage, write down, discuss, and sketch out as many ideas as possible without judgement. At this point in the process every idea is worthy no matter how extreme. The beauty of collaboration and innovation is that a single idea can create a spark and catch fire as more people discuss and add to it, so never discard an idea. 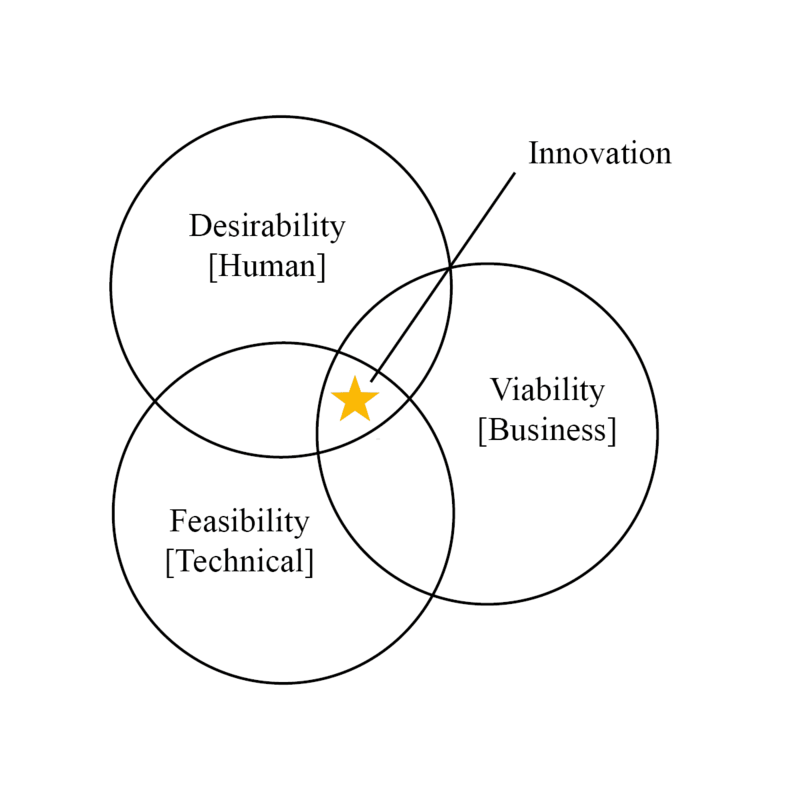 Depending on the size of the innovation lab you are designing for, strive for roughly 30 initial ideas. Revisit your design question and ask yourself what things can you incorporate that will help accomplish those major themes established in your ‘how might we’ question. What will be happening in the innovation lab? What types of projects? What equipment is needed to make those projects successful? All of these questions should have been answered in the empathy stage, but are important in guiding your ideas in the right direction. Don’t be afraid to look elsewhere for inspiration if you have exhausted your brain, search through books and magazines, have conversations with people to gain a new perspective, use google to find people who have done similar projects. Some examples of ideas that were generated for The Dream School included rainwater collection systems, a tilapia aquaponics system, the use plastic bottles as a building material which helped clean up the littered streets and also kept the temperature down within the buildings. We also included an innovation lab on the campus where girls could learn to sew, weave kiondos, and create pottery and jewelry. 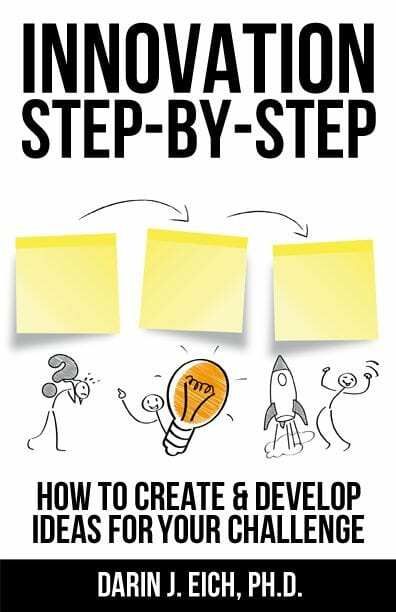 Always keep your mind open for ideas during the next two phases, but once you have accumulated a solid base of ideas, choose a few of the most promising and carry them with you to the next stage of the design thinking process, the prototyping stage. A prototype is an original or first model of something from which other forms are copied or developed. The goal of the prototype stage is to get an idea out of the mind in a form that is easily understood by others, whether it be a 3-dimensional model, a sketch, a painting, or a mold. The point is to explore your mediums and find the best one to represent a particular idea. In this day and age, our first inclination is to run straight to the computer to create a prototype, but Bruce Mau heavily advises against this saying that “creativity is not device dependant” and we need to find alternative mediums for expressing our ideas. I encourage everyone to look into Mau’s An Incomplete Manifesto for Growth, a 43 point program geared towards anyone in the creative realm. Mau encourages us to look at our own design process by giving us 43 short tips on how to think about creativity and growth. Aside from helping others understand your idea, the prototyping stage can be critical in your own deeper understanding of your idea. By having to describe and show someone else how your idea works, you are forced to discover how it will work first, which more often than not will drastically alter your original idea for the better. Your prototypes will also be your method of testing out your designs with your end user so make sure they are well thought through and be ready for questions! The fifth stage of the design thinking process is the testing stage. Testing out the design ideas of your innovation lab means presenting them to the end user and gathering feedback. In order to have the most effective and successful design for your specific end user, you must be willing to receive their feedback with an open mind and be able to tailor your designs to best fit their needs. I have learned that people with little design background are lost when it comes to giving feedback on a design. It is typical to hear, “I really like that aspect of the design”, or, “I don’t like that part of the design”. When you receive this type of feedback, dig deeper and be open to finding out more about what they like/don’t like. Ask them why they like this, or why they don’t like that. It is your job as a designer to find the true meaning in their feedback. Tailoring your design to better fit your end user’s needs might mean letting go of some ideas altogether, and that’s okay. Don’t be afraid to discard certain ideas to make room for new and better ones. Remember, this is the testing stage, be ready to make changes and be open to making changes because in the end, your end users are the ones who will be working in the space. The testing stage may be the fifth stage of the design thinking process, but it’s not over yet. The beauty of the design thinking process is that it’s a cycle of constant positive transformation. After testing your design ideas with your end user, repeat, repeat, repeat! Go through the design thinking process again with most of the emphasis on the ideate, prototype, and testing stage. Repeat these steps as many times as it takes to reach a final design. It may seem tedious to keep circling back around, but remember that each time you are gaining more insight and are working towards the most successful design. Once a successful design is agreed upon, the final test will be building the innovation lab and letting the organization work within the space. Remind yourself and the organization you are designing for that it is okay and even encouraged to keep adding to and transforming the innovation lab as needed. A company’s innovation lab can be compared to an artist’s studio; it is constantly changing with the growth and expansion of the organization, and is a space to experiment, create, and learn. 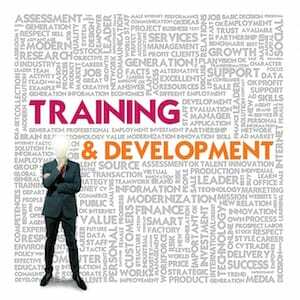 For more on this topic see our Innovation Training articles about innovation centers, design thinking workshops, innovation events, and design thinking training. Emily is a Design Thinking specialist focusing on the design of physical spaces. Emily received her undergraduate degree in Interior Architecture with a certificate in Design Thinking from the University of Wisconsin – Madison. She is passionate about the change design can make within the world and hopes to share the power of design thinking. 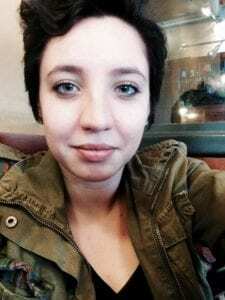 Emily — a fabulous article and inspiring. Got me thinking what my life might look like even next year if I took on the design thinking model (starting with empathy) as a way to live and redesign life. Thank you! Such a useful useful article. Thank you Emily, going to use this process for an upcoming project. Really appreciate your insights.